The newly renovated Holiday Inn Express Philadelphia NE - Langhorne Hotel is located less than one quarter mile from Sesame Place and easily accessible from both I-95 and U.S. Hwy 1. New Hope, Peddler's Village, Franklin Mills Mall, and historic Philadelphia are all just a short drive away. 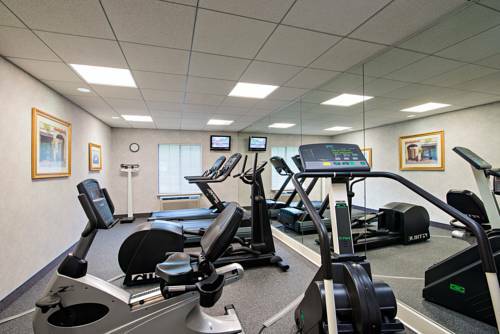 Our Langhorne hotel offers a variety of amenities including free Wi-Fi, complimentary USA Today, an outdoor pool, and Fitness Center. Experience our freshly designed rooms featuring HD TVs, microwaves, refrigerators, coffee makers, and hair dryers. Oxford Valley MallMacys, Sears, JCPenney are the anchor stores. New HopeA tourism attraction center that provides everything from shopping, entertainment, night life, restaurants, a railroad, art and craft galleries and more! Franklin Mills OutletAn outlet mall that features over 70+ outlet stores. Oxford Valley MallPopular shopping mall with many stores. Six Flags Great Adventure and Wild SafariAdventure park for all ages. Philadelphia ZooOne of Philadelphia's main attractions, features many animals.